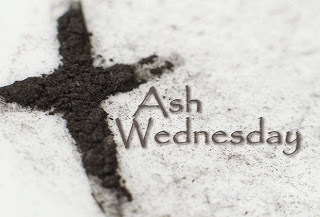 Lent arrives on Ash Wednesday, March 1st. The Latin Mass at Sacred Heart in Hollister will be at 5 p.m. with distribution of Ashes. 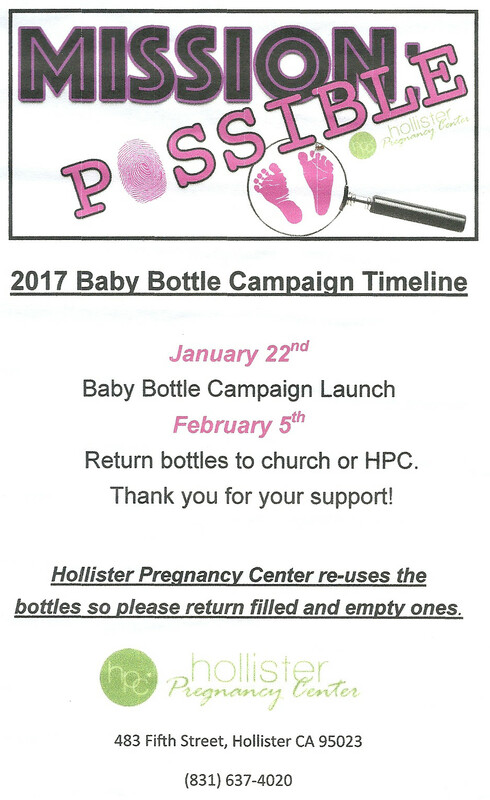 Sacred Heart Latin Mass is participating in 'Operation Possible', collecting change to help support Hollister Pregnacy Center. 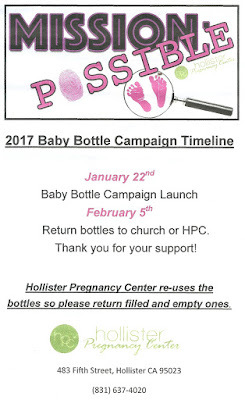 Baby bottles will be handed out after Mass on Feb. 19th. and 26th. ; please return them filled with your spare change to the church on March 5th. Thank you for your support of their pro-life efforts. 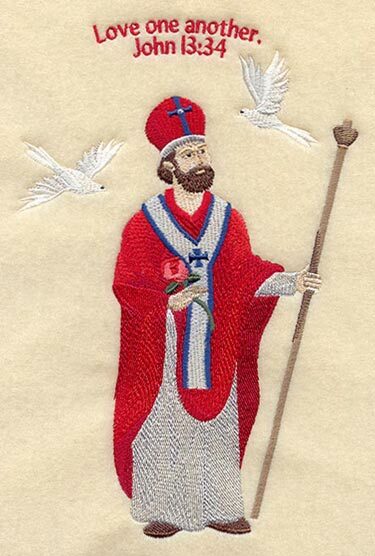 Please join Sacred Heart Latin Mass for a children's St. Valentines party this Sunday, Feb. 12th at Keehan Hall. After Mass the children will gather across the parking lot/lawn at either the hall or the play area, depending on the weather. There will be food and sweet treats for the children as well as games and activities. There will be use of the small playground which is a safe place for the children to play after Mass. Mary Clark has been organizing children's activities that also reinforce their Catholic Faith which has been great fun for all. The Latin Mass Conference, sponsored by Keep The Faith and Latin Mass Magazine: The Journal of Catholic Culture and Tradition, invite all to the 15th. 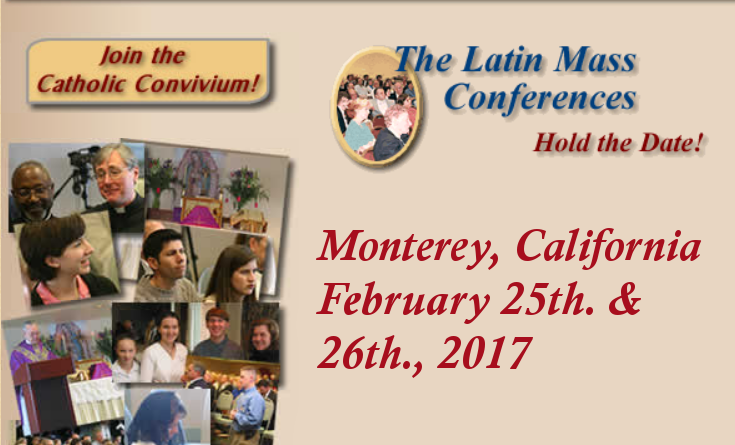 Annual Conference to be held in Monterey, California, the weekend of Saturday, February 25 - Sunday, February 26, 2017. 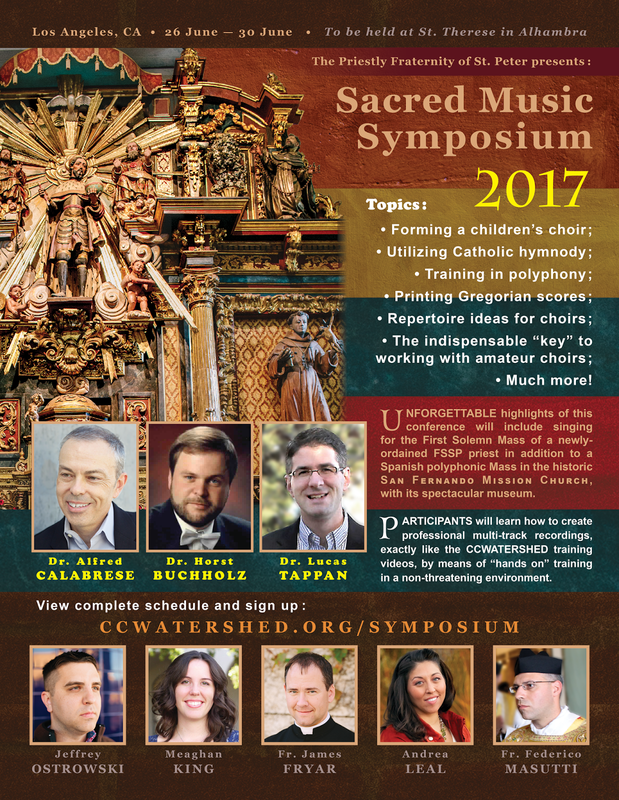 The conference is especially for those committed to the timeless spiritual treasures of the Traditional Mass, and features a number of great traditional Catholic speakers, including Father James Buckley, FSSP, Father Joseph Illo, and Christopher Ferrara. Registration for the Latin Mass Conference includes a buffet lunch. The Traditional Latin Mass will be offered on both days. 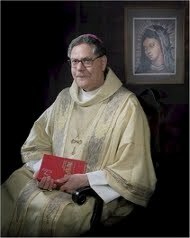 In gratitude to Bishop Garcia for his years of pastoral care of the Latin Mass communities in the Diocese of Monterey - God bless the soul of our beloved shepherd. Requiem aeternam dona ei, Domine, et lux perpetua luceat ei. Requiescat in pace. Amen. For the daily online Latin Mass Missal provided by DivinumOfficium.com, please click Today's Mass Readings. 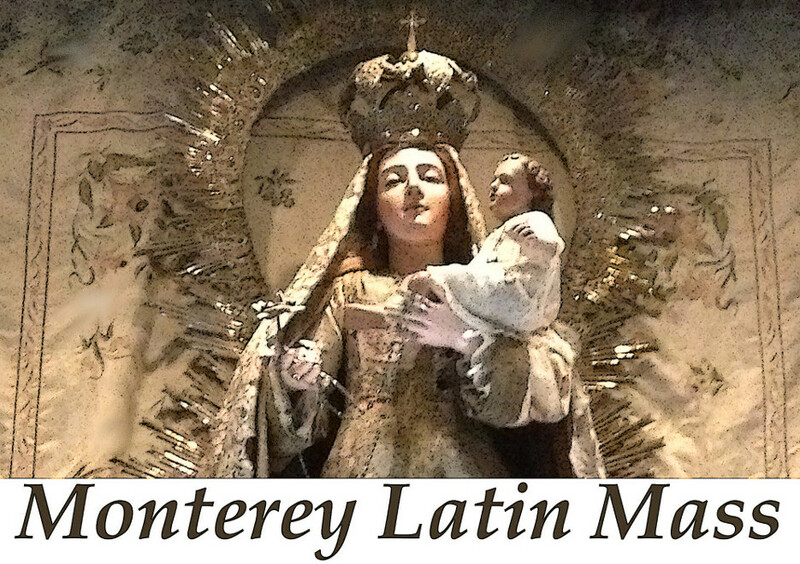 Monterey Latin Mass - Copyright 2012-2018 ~ All Rights Reserved. Simple theme. Powered by Blogger.